Step into a space where tranquility pervades. A Bangkok Spa where the boundaries of East and West blend the harmony. Luxury surrounds you, time stands still, and a sense of deep relaxation washes over. Open daily : 10:00 am. – 10:00 pm. Our last booking : 09.00 pm. for a 60 minutes session. Thailand’s capital is teeming with exotic sights and new experiences. With its at times wild collision of tradition and modernity, boredom is simply not on option on your trip to the City of Angels, and there are more than enough activities to engage every taste. Visitors are never at a loss for finding exciting things to do in Bangkok. The gorgeous temples of Wat Phra Kaew (The Temple of the Emerald Buddha), Wat Pho (the Temple of the Reclining Budda) and its famous tradtional Thai massage school, as well as Wat Arun (Temple of the Dawn) along the Chao Phraya River are always a must-see. With their tall pagodas — called chedi in Thai — clad in gleaming white and shining gold, these landmarks of the Thai religious experience are a major attraction that draws in millions of visitors every year. And so do a vast number of other attractions, such as exploring the intriguing history of Thailand in the National Museum or the interacting with the exhibits in the new Science Museum. Probably best known is that Bangkok offers some of the most incredible shopping malls anywhere in the world, with complexes like Paragon or MBK. Discovering havens of tranquility in a Bangkok spa is very high on everyone’s list. The colorful views of life along the Chao Phraya River as you enjoy the spray, cutting through the water in an express boat rented at the Taksin Pier is another memorable adventure. For after-hours fun, Bangkok is hands down Southeast Asia’s centre for nightlife. Along Sukumvit Road, Thonglor and other spots, new clubs are opening all the time to delight the chic night owl crowd with the fun Bangkok is famous for. With so many stylish rooftop bars with a fabulous view of the city, with all the chill and cozy pubs can stroll into, and with all the hi-end nightclubs featuring the hottest talent in live DJs, not to mention the wilder side of nightlife in the notorious red light zones, it is easy to see why pursuing good health and rejuvenation in a Bangkok spa is just as popular as the after-dark adventuring! Of course it is also well known that, among all the wonderful things to do in Bangkok, eating is a major focus. Eating is a Thai national pastime! Not only can you find restaurants offering virtually every delicious cuisine on earth, the local street food of Bangkok is so delectable that it has become famous itself. Last year, one of these streetside stall eateries earned a star in the Michelin guide! One thing, however, is absolutely needed on any stay in Bangkok. The most enjoyable, and perhaps the healthiest, of things to do in Bangkok has got to be Thai massage. Acclaimed throughout the world, most travelers advise that you absolutely cannot leave Thailand without trying it at least once. And now with the world’s new focus on wellness, it is even easier to find a relaxing Bangkok spa precisely to your liking. Thailand has a history of massage that stretches back at least 3,000 years and contains age-old elements of Ayurvedic principles and local health traditions. The massage tradition of Thailand comprises relieving stretching techniques and deep pressure along the chakra lines of the body, in order to restore you physical and spiritual equilibrium. It also leaves you with a buoyant mood! For many locals, it is a regular activity of the week. Long a feature of royal wellness practices, the fundamentals of Thai massage are enjoyed at every level of society. It can be found done in homes as well as in small shops in virtually every village around the country, and of course in every city. In the capital, the best massage spa in Bangkok will provide a caring sense of warmth and comfort combined with the tranquil elegance of classic tradition. 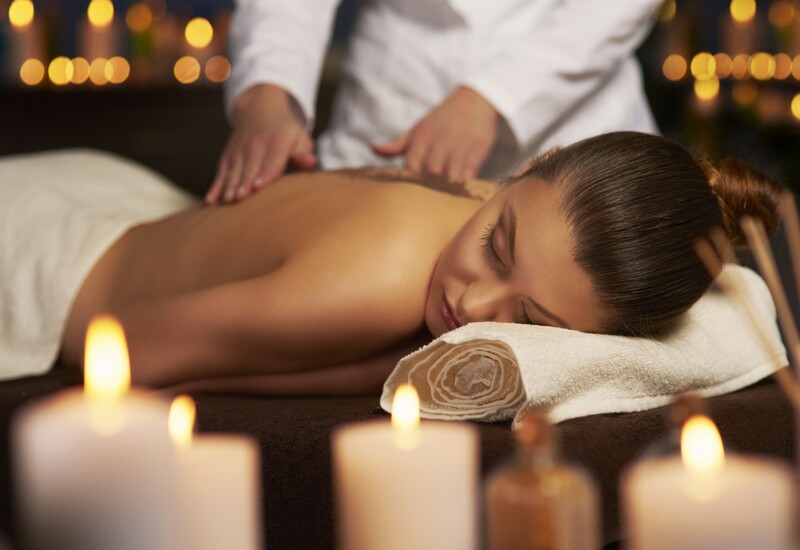 Graceful and attentive service are a must when choosing the best massage spa in Bangkok. The treatment is about you and should be tailored to your needs with a caring and professional touch. At a luxury spa in Bangkok, the receptionist will have you fill out a brief questionnaire pertaining to your health and concerns. In the massage room, therapist should ask you how the room temperature is for you, whether the volume of music is satisfactory and what level of pressure you prefer. The therapist will again ask you if there are any areas of your body that require more attention, such as tired legs, an aching back or sore neck. Most of the better spas are sure to offer a special treatment designed especially for the rigors of long travel and jetlag, which will put you back on your feet with a smile if you have just arrived. The atmosphere of a luxury spa in Bangkok is another key to your bliss. Entering a luxury spa in Bangkok should be like stepping into a space pervaded by total harmony. Besides the exquisite natural décor, gentle music and the warm smiles at Reception will put you at ease and ready for complete relaxation under their care. Visitors who stop off at the BTS Ratchathewi station in search of the best massage spa in Bangkok are only a few steps from bliss. 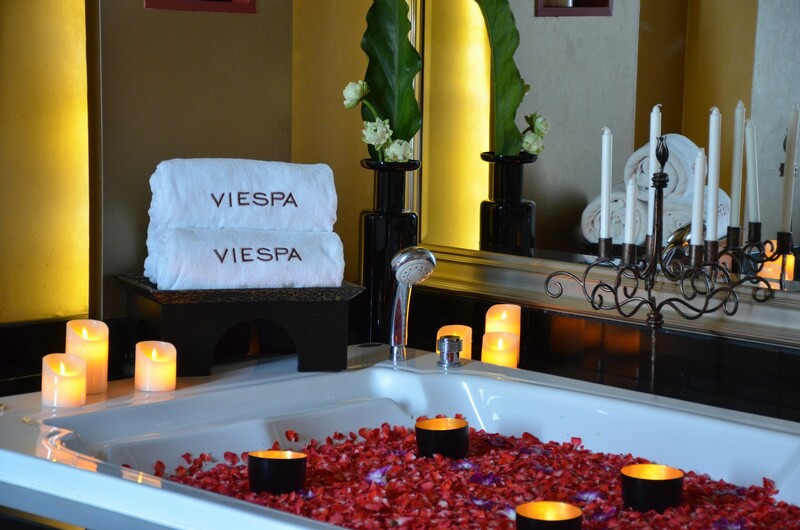 Guests of VIE Hotel Bangkok, which is next to the city’s most famous shopping area, will consider themselves very fortunate to have VIE Spa on the premises. Specifically created for the ultimate in relaxation and indulgence, as well as enhancing the beauty of their guests, this is a luxury spa in Bangkok with an innovative approach. The spa has made it mission to soothe the muscles, nerves and spirit of the modern era and the office syndrome our shoulders and back suffer with so often in front of our computers—and to keep us younger looking while doing so. East and West blend in harmony with treatments that have taken only the most effective elements of tradition and infused them with contemporary products and knowledge. The signature treatment of VIE Spa, while essentially patterned after the practices of the Royal school of traditional massage such as taught in Wat Pho, also incorporates long strokes and a special ingredient in their deeply efficacious and unique Silk Oil Massage. Long ago in Thailand it became a well known fact that weavers of silk had the most remarkably beautiful and softest hands. As technology improved it was found that the special ingredient of silk oil contains properties that increase the elasticity of skin, restoring a bright and youthful appearance and keeping the skin looking younger longer. 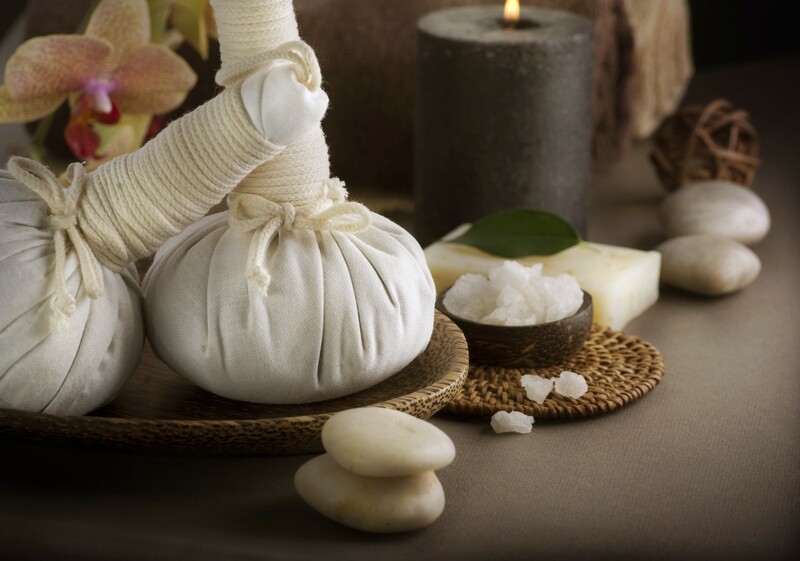 With its signature Silk Oil Massage, multi-awarded VIE Spa considers health and beauty as intertwined goals to total well-being. Step into a space where tranquillity pervades. A Bangkok Spa where the boundaries of East and West blend the harmony. Sometimes you just stop and ask yourself what exactly the most luxurious life would be composed of. Delicious meals, of course, are near the top of the list for some. A splendid view over a fascinating city like Bangkok is cherished by others. Many would also say that a level of service that exceeds the norm is also quite important. However, when deeply considering what the most tranquil and blissful moments on holiday are composed of, the moments we remember wishing it could last forever, all can agree that a luxury spa in 5-star hotel is the difference that defines the true pleasures of absolute comfort.